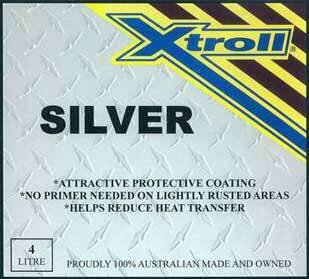 Xtroll Silver is a Rust Conqueror based paint designed to give a physical barrier to moisture and weathering, and more importantly greatly reducing heat transfer. Exceptional for use in areas of immersion, boat trailers etc. 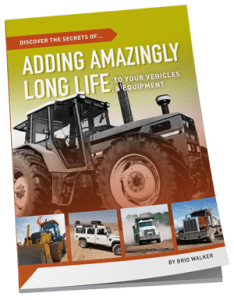 High coverage rates, mean economy on the job. Has a huge tolerance for UV, long life in harsh sun. Great for decreasing heat transfer. 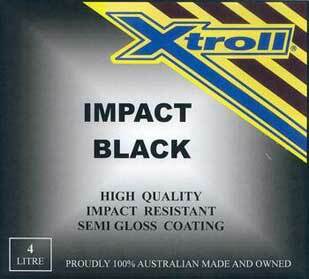 Xtroll Impact Black, is a fast drying heavy duty enamel coating. Easy to apply and dry to touch after one hour. Ideal on chassis of off road vehicles, particularly beach vehicles. 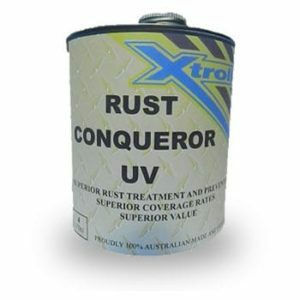 Use over Rust Conqueror for the ultimate under body protection. 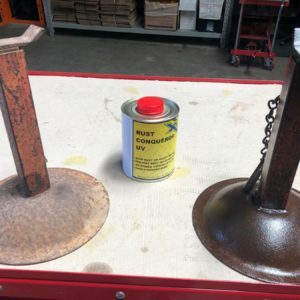 Use on buried pipe or metal, ideally in conjunction with Rust Conqueror. 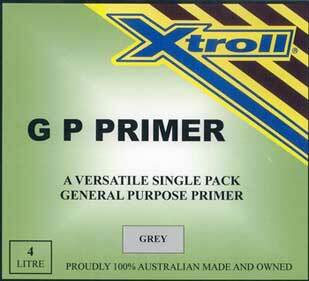 Xtroll GP Primer is a single pack solvent based primer, which is a blend of Rust Conqueror and a quick drying alkyd primer for use on metal surfaces. Xtroll GP Primer is typically used on every type of clean metal surface or structure, for example: roofs, vehicles, towers, tanks, cranes, bridges etc. 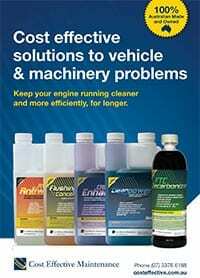 plus any other Rust Conqueror coated surface. Used in wharf areas when over coated with suitable top coats, for immersed steel and concrete structures in salt or fresh water situations.